Scandals involving steroid use by sports figures are frequent--athletes appear willing to risk their health, employment, and freedom to gain an “edge” on the competition. Such risk is not surprising given the large financial rewards often involved. The use of performance-enhancing drugs is typically covert, thus well-done research showing the effects of anabolic steroids on athletes is rare. Yet testosterone treatment increases muscle strength, body size and healing rate. These benefits, however, are associated with many short-term and long-term risks. It is well known, both scientifically and anecdotally, that steroid use increases muscle strength. A recent study by Rogerston and colleagues (2007) nicely illustrates this effect of performance-enhancing drugs. These authors showed that testosterone enanthate, the most commonly used (and abused) form of testosterone, increased bench press strength and cycling performance in healthy subjects relative to placebo. Previous research had shown that such effects were typically obtained in 6 to 12 weeks of treatment, yet these researchers demonstrated significant effects within 3 weeks. 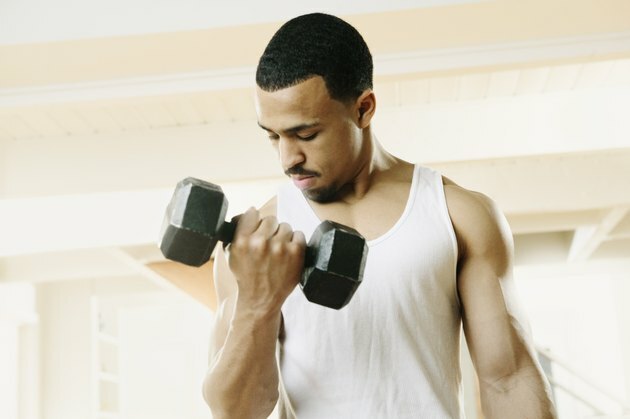 These surprising results show that steroid use can quickly increase muscle strength. The Rogerston and associates study also showed that steroid use increased body size. In fact, a large amount of research supports that finding. A well-done experiment by Giorgi and co-workers (2009) typifies such studies. The latter authors tested the effects of testosterone enanthate in healthy weight trainers. Testosterone significantly increased body weight, bicep girth and quadricep circumference. This study also revealed a increase in abdomen “tightness.” That finding is unusual, however, as most studies do not indicate a fat-reducing effect of steroid use (Hartgens and Kuipers, 2004). Another documented effect of steroids is their positive impact on healing rate. The recent steroid scandals involving professional athletes such as Barry Bonds, Mark McGuire, and Roger Clemens contained repeated references to the use of performance-enhancing drugs for hastening recovery. Unfortunately, few studies testing these effects in healthy individuals are available. There is, however, a nice collection of steroid data in “trauma” subjects including people who have experienced burns and injuries. A recent study by Miller and Btaiche (2009), for example, showed that oxandrolone (a synthetic derivative of testosterone) improved lean body mass, increased muscle strength, and restored body weight in patients with severe thermal injuries. It is irresponsible to describe the benefits of steroids without mentioning the risks associated with their use. Hartgens and Kuipers (2004) present both the positive and negative effects of performance-enhancing drugs in their excellent review of the steroid literature. These authors noted that testosterone use increases unwanted libido and aggression as well as disfiguring acne and hair. Performance-enhancing drugs also alter the internal hormone milieu during (and for months after) their use. Most concerning of all, however, is the adverse cardiac effects of anabolic steroids. Exogenous testosterone increases resting blood pressure and decreases “good” cholesterol level. In addition, steroids alter heart structure and function. What Are Some Examples of Steroids?